1879 October 19th. Born in Loughborough, the tenth child of Thomas W. Bailey, master tailor, and his second wife, Ann Wilmot. Joined the Brush Electrical Engineering Co, Loughborough, as an apprentice, continuing his technical education at the University College, Nottingham. 1907 Left the Brush Company and joined the British Westinghouse at Trafford Park, Manchester, as a draughtsman in the engine department, rising to chief draughtsman in 1909. He married, in 1910, Margaret Fanny (d. 1971), daughter of Thomas Bolesworth, farmer, of Loughborough; they had one daughter. 1926 Mr G. E. Bailey, works manager of Metropolitan-Vickers was elected president of the Manchester District Engineering Trades Employers' Association for the second year. 1927 Became director and general manager of manufacture. 1965 Died at his home, Downside, Compton, Berkshire, on 14 October. Sir George Bailey, CBE, MIEE (Member), who died on 15th October at the age of 85, was a leading figure in British industry for nearly 50 years. Educated at Loughborough Grammar School, Sir George was apprenticed to the Brush Electrical Engineering Co. After gaining experience as a draftsman with several firms, he joined British Westinghouse in 1907. This Company later became part of Metropolitan-Vickers which was then incorporated into Associated Electrical Industries. By 1919 Sir George was Works Manager, in 1929 he was appointed to the Board of 'Metro-Vicks'. He was the first Works Director of AEI and in 1933 he became the Managing Director. 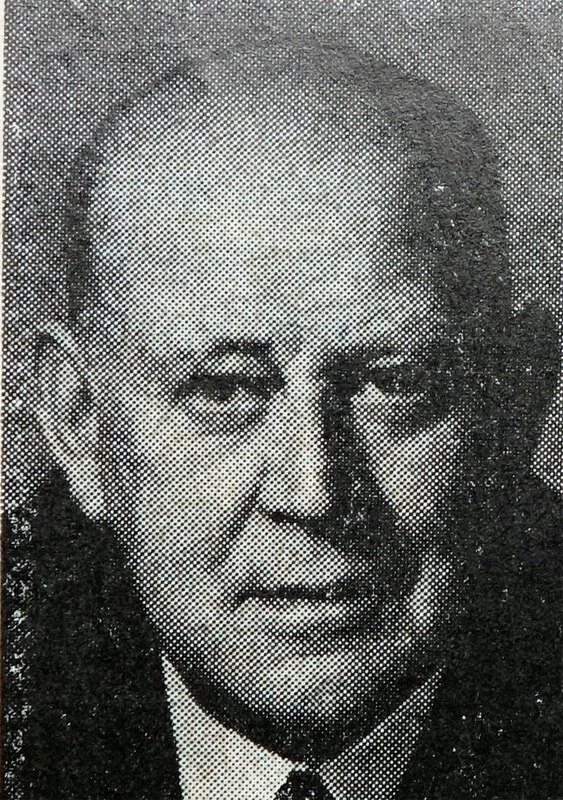 After a period as Deputy Chairman, he was appointed Chairman in 1951. He made many notable contributions in the gas turbine field and, during the 1939-45 war, he did sterling organisational work on radar transmitter production. His administrative abilities were combined with a human approach which enabled him to run Trafford Park without labour troubles for many years. His services during the war years were recognised by the award of a CBE in 1941 and a knighthood in 1944. Sir George had many public commitments which he filled with distinction, including the Presidency of the British Electrical and Allied Manufacturers Association. The engineering industry has lost a devoted servant and friend, one who would have revelled in the challenge of its present position. "Sir George Bailey, C.B.E., M.I.Mech.E., M.I.E.E., who died last Friday, at the age of eighty-five, was for nearly half-a-century a leading personality in British engineering. His long association with Metropolitan-Vickers and Associated Electrical Industries (of which he was a former chairman) will be remembered both for his many contributions to technical developments and for his exceptional administrative ability. George Edwin Bailey was born in 1879 at Loughborough and was a pupil at Loughborough Grammar School. He served an apprenticeship with the British Electrical Engineering Company Ltd. and attended evening classes at University College, Nottingham. After a period as leading turbine draughtsman with the Brush Co in 1907 he joined British Westinghouse which later became Metropolitan-Vickers and (in 1929) part of Associated Electrical Industries. His early work at Trafford Park was mainly on the development of steam turbines and gas engines. Later he found more scope for his technical ability as well as his energy and qualities of leadership by transferring to the factory floor. In 1919 he became works manager of Metropolitan-Vickers and in 1929 he was appointed to the Board. With the formation of A.E.I. two years later he became the first works director of the new company and, as such, he was responsible for coordinating the whole production of the group which included B.T.H., Ferguson Pailin and Edison Swan, as well as Metropolitan-Vickers. Within the next two years he was appointed managing director and then deputy chairman of A.E.I. In 1951 he became chairman when Mr. Oliver Lyttleton (now Lord Chandos) was appointed Secretary of State for the Colonies. In his early years at Trafford Park he made notable contributions to the development of axial-flow gas turbines, to the first British gas turbine to be installed in a powertation and to gas turbines for locomotives and for hip propulsion. A noteworthy achievement in the field of production was the manufacture of the first thousand radar transmitters, produced under conditions of extreme urgency in the early part of the 1939-45 war. There is probably no better testimonial to his administrative skill than the long period of freedom from labour troubles at Trafford Park in the years between the two World Wars. His methods were sometimes unorthodox but they combined shrewdness with humanity and they worked well. In many respects he was ahead of his time and he started his own Works Council at Trafford Park about twenty years before the first official Joint Production Council was established. Sir George was president of The British Electrical and Allied Manufacturers' Association in 1954. 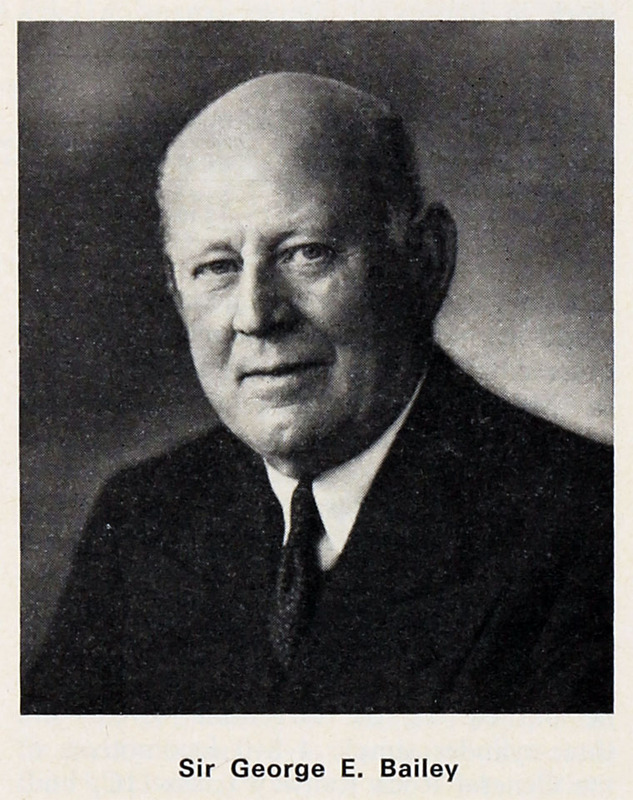 From 1940 to 1943 he was president of The Engineering and Allied Employers' National Federation. He was president of the Institution of Production Engineers from 1939 to 1942. Other offices that he filled included those of presidents of the Manchester District Engineering Employers Association and of the Manchester Engineering Council. He was awarded the C.B.E. in 1941 and he was Knighted in 1944."